500 revisions goes back to Jul 8, 2011. Also of interest, the earliest revision (Feb 10, 2011) of the Trade page has a scant 117 <li> tags while the current page has a whopping 785! 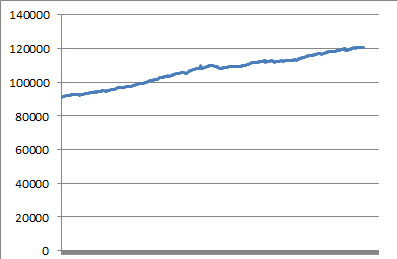 I haven't taken the time to count all the revisions inbetween but that's quite a lot of growth - 668 new entries in 225 days for an average of almost 3 entries per day or about 1,084 per year! While some of these are bound to be non-merchant list items, that's still an impressive rate of growth. I have not seen a chart. The only way I think it would be to go through the history of the wiki page and count the merchants at certain dates to get the data. Not the answer you're looking for? Browse other questions tagged commerce or ask your own question. Largest current merchants accepting Bitcoin?